Lying at the Eastern shore of the Indochina Peninsula, Vietnam showcases many top- of-any-list beaches, which are also among the country’s most unsung beauties. 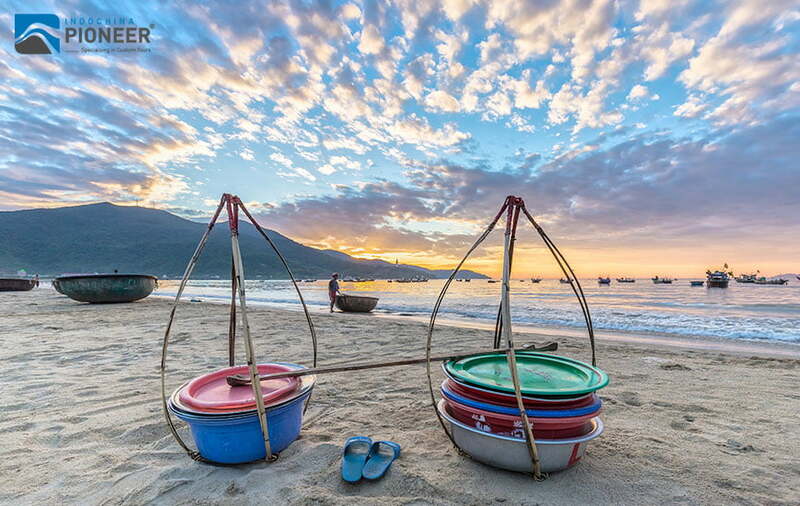 While travelers may think of Thailand and Cambodia as the countries for white sand and blue water, Vietnam boasts beaches that rival these countries’ beloved tourists spots. 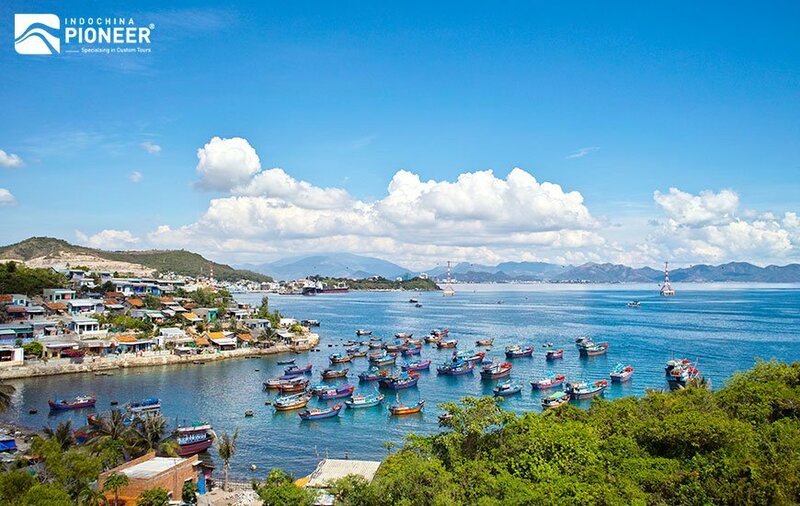 Located in Khanh Hoa province, Nha Trang is the beach city attracting millions of tourists from all over the world, with its white sands that stretch as far as eyes can see, crystal water and countless islands dotted along the horizon. Competing with the towering high rises is the jungle-covered mountains wrap themselves around the city, making the overall scene look like a perfect panorama picture. Nha Trang offers a bunch of diverse water sport types, from diving, wave boarding, and kite surfing to banana boat rides; therefore it is an excellent choice for adventurers above and under water. The most luxurious 5-star resorts in Vietnam are located here, also. Some well-known names for Vietnam travelers to consider are Evason Ana Mandara and Six Senses Hideaway & Spa, Vinpearl Resort and Spa etc. In addition to the high-standard resorts, there’s an amusement park, shopping mall, lively night life, fresh seafood and cuisine with enjoyable price. The central fighting during Vietnam War- Da Nang- totally molts now, and becomes a well-known destination for its great beaches with notable surfing, scuba diving and swanky resorts. The My Khe Beach (called China Beach by the American Gis in 1963) with blue sky, smooth white sand, clear & warm water year, now has became “one of the most attractive beaches on the planet” selected by Forbes Magazine. 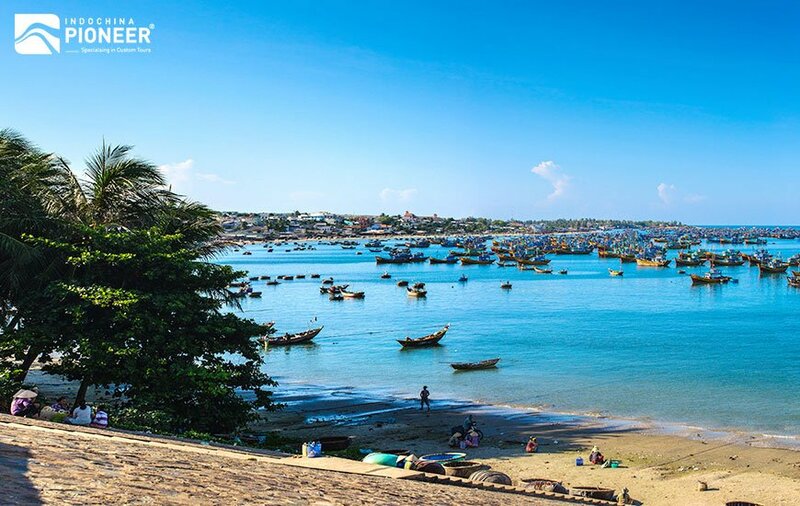 Only a short 3-5 hour bus or train trip from Saigon will take you to the fishing village Phan Thiet- a quick and excellent weekend escape, also considered as the best beach accessed overland. 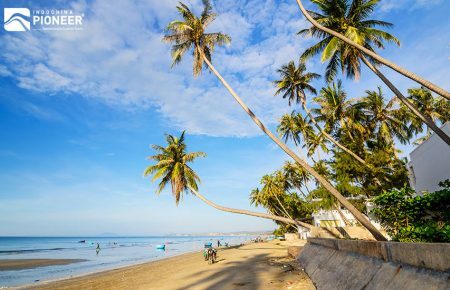 Five kilometers from Phan Thiet City, the single road resort town of Mui Ne seems to stretch forever along the entire length of the often seemingly uninhabited sands of Ham Tien Beach. Thousands of sightseers come to Mui Ne for its nearby red and white sand dunes, and with the strong sea winds, it is also well-known as one of the best locations in Asia to try the unique sport- kite surfing. Mui Ne gets consistent waves (Nov-Feb) which is really convenient for surfing, and you can hire boards at a number of spots along the beach. With lots of hotels, resorts, bars and restaurants to choose from, Mui Ne is the most popular escape for expats living in Ho Chi Minh City. There it is- the favorite getaway of successful businessmen and celebrities! 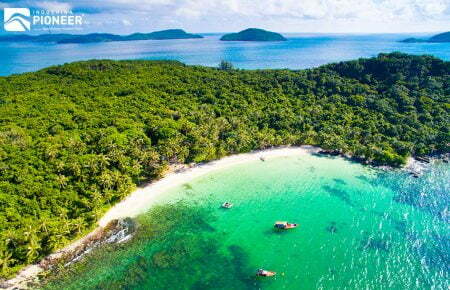 Located off the west coast of Mekong Delta, Phu Quoc Island is bit off the standard tourist tracks. The diverse topography is made up of national forest land, pepper plantations and sprawling white sands beaches. The island still maintains some of its untouched charm with dirt roads, quiet shores and limited tourist services. 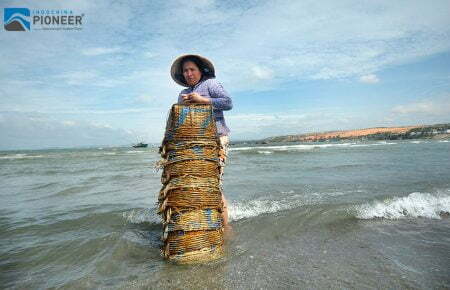 Phu Quoc is also famed for its pearls, fish sauce and an abundance of fresh seafood. Along Long Beach is the most developed beach area with large resorts together with great budget options. 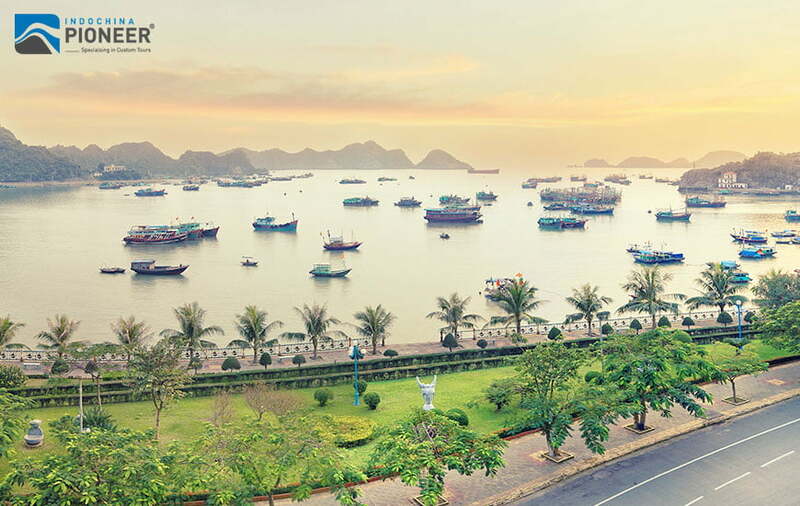 About four hours away from Hanoi, Ha Long Bay is famous for the thousands of limestone karsts dotting the ocean. The most notable beaches here are on the biggest island, Cat Ba which is famous for its relaxed environment and national park of the same name. It’s known as a destination for adventure seekers with kayaking, rock climbing, abseiling and hiking becoming popular here. Only a short walk from Cat Ba town, Cat Co beach is the most popular but Monkey Island Beach, accessed by boat is the best place to stay, with private beach bungalows and a beach-side restaurant and bar. Enjoy the sunshine, crystal water and fabulous sand of Mui Ne Beach plus a night in Ho Chi Minh City. 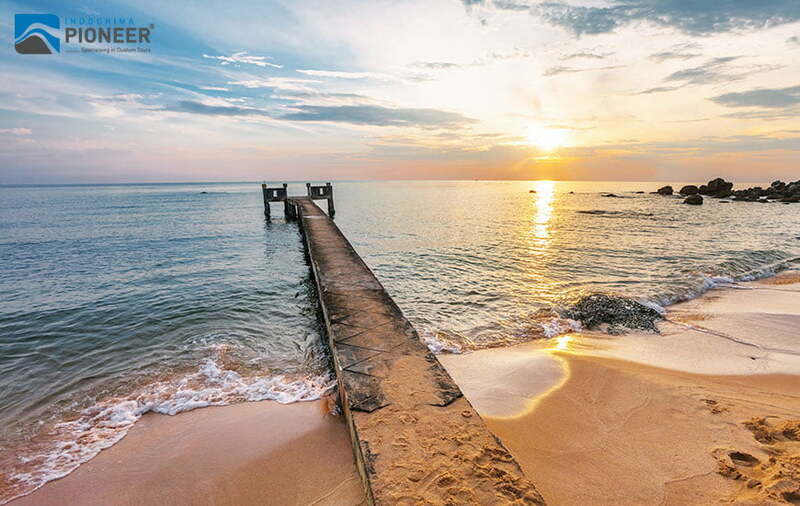 Escape to the pristine Phu Quoc Island for beach and down time, recommended for and end of an adventure.